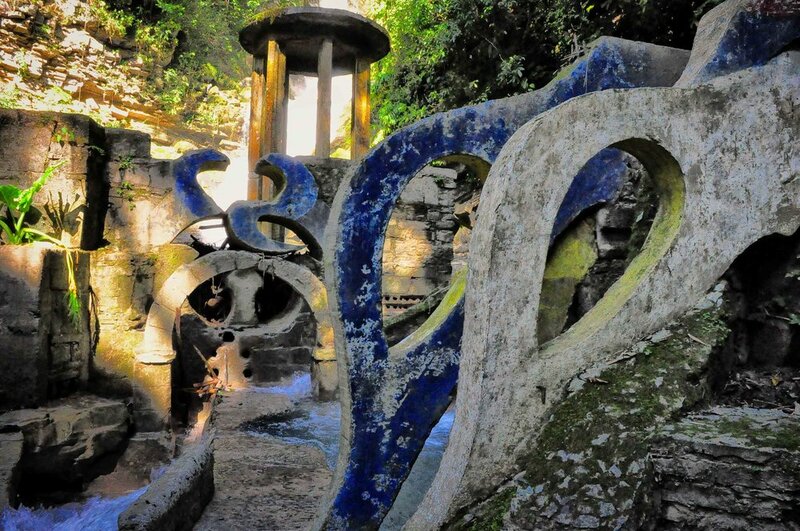 Las Pozas is a surrealist garden in the rain forest of the Sierra Madres, Mexico. It is the creation of Edward James (1907-1984), a British aristocrat, poet, and visionary. 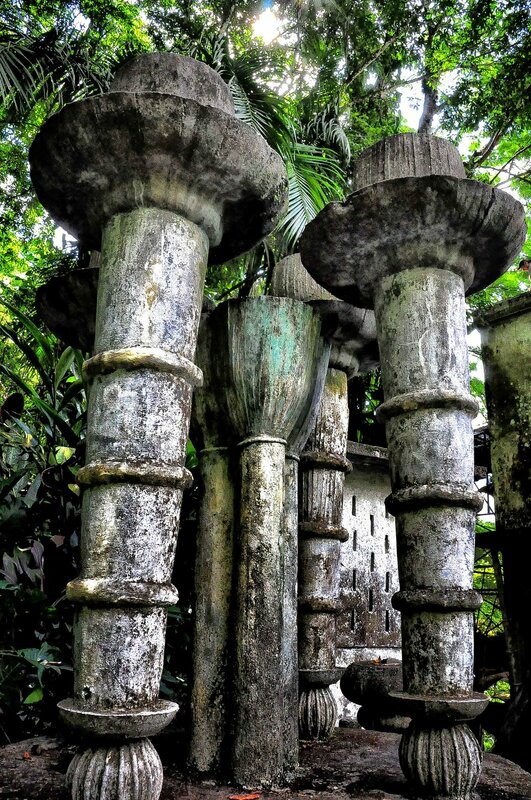 In the late 1940s, he moved to the village of Xilitla, Mexico, in the state of San Luis Potosí, where, in collaboration with local craftsmen and friends he fabricated elaborate symbolic shapes and organic designs that relate to a private cosmology predicated on surrealistic influences, and echo nature. Most of the structures are “follies” for amusement and surprise, never to be used for practical purposes. 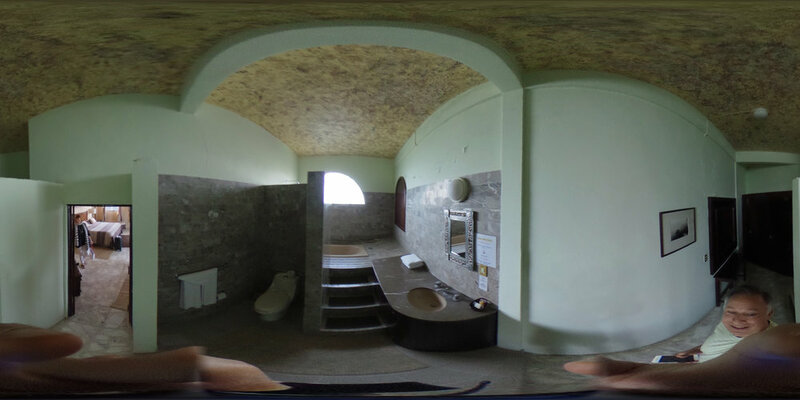 It's a delightful destination especially for cultural travelers, artists, and photographers. Experienced guides will lead this group of like-minded art adventurers to the 80 acre site, creating many wonderful memories and new friends in the process. 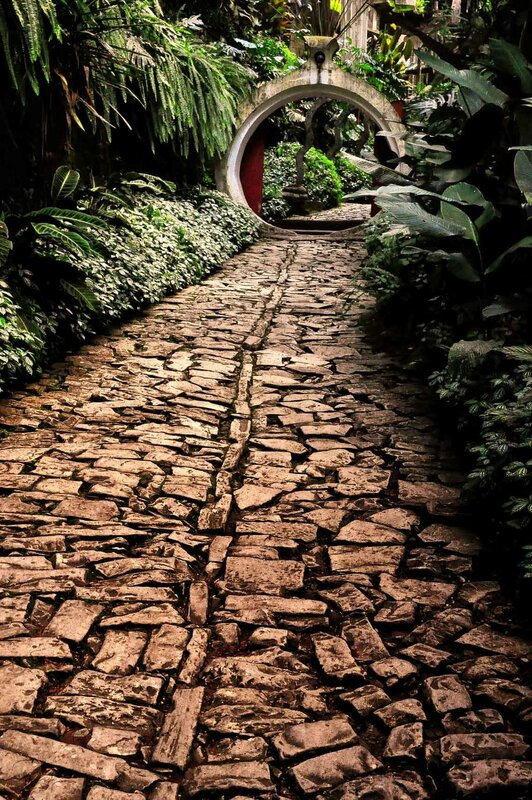 The journey to Las Pozas will begin and end in the historic colonial city of Queretaro. From Queretaro the group will enjoy a fantastic drive from the high desert plain all the way to the Sierra Madre rainforest where Las Pozas is located. En route, participants will adventure through amazing granite mountains, missions, markets, and archeological sites before arriving in small village of Xilitla the following day. 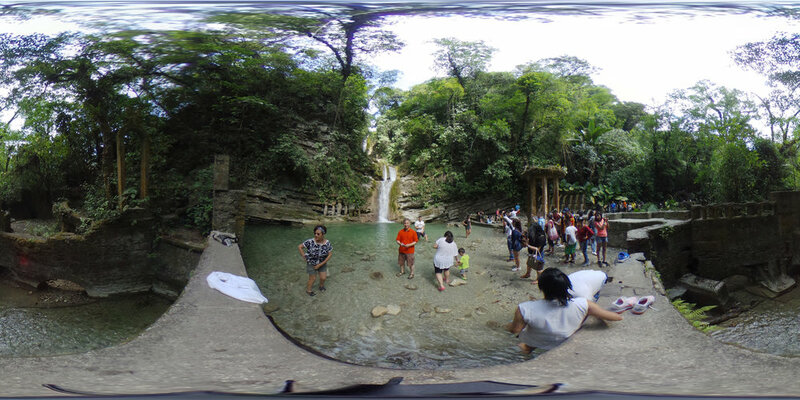 In Xilitla, the group will stay at the Surrealist bed and breakfast, El Castillo, an easy walk to Las Pozas or to the charming town square of Xilitla. 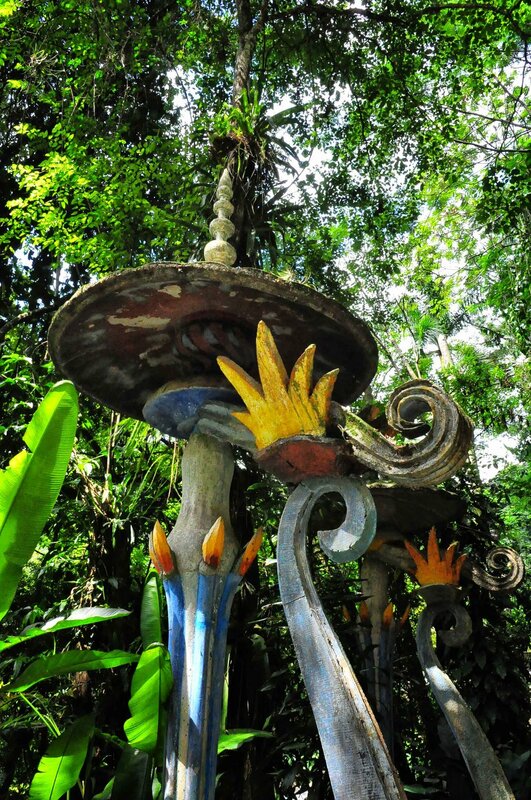 Las Pozas has recently been designated a UNESCO World Heritage Site, and there are recent positive changes to the garden's unique towers, sculptures and other oddities. Swimming, hiking, relaxing, good times, and conversation will all be part of this experience. The group's return from Las Pozas to Queretaro will allow exploration of this treasure of a city filled with beautiful cathedrals, architecture and rich Mexican history. Saturday 9 FEB -- Independent arrivals meet at Queretaro Airport (QRO) at noon. 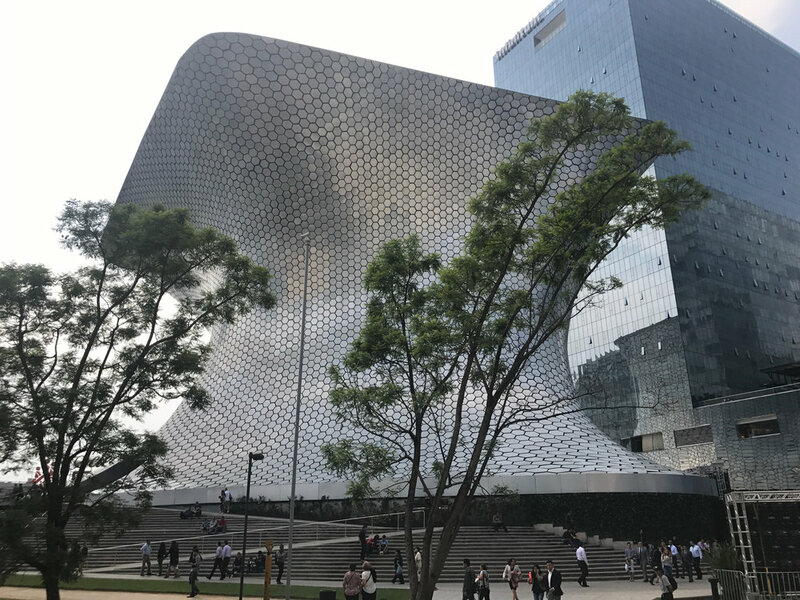 Welcome to the heart of Mexico! Board a luxury van loaded with refreshments for a scenic drive into the Sierra Gorda. After a country picnic style lunch we continue to colonial Jalpan de Serra, a charming town with pre-Hispanic origins, named for the Franciscan father Junipero Serra, who oversaw construction of the splendid baroque mission dedicated to St James the Apostle that dominates the main plaza. Our hotel for the night is MIsión Jalpan, housed in a historic building across the street. Check in and refresh before enjoying a welcome cocktail and dinner with the group. We resume our climb through the eco-diversity of the Sierra Gorda Biosphere Reserve, visting another of the UNESCO recognized Franciscan missions en route to magical Xilitla, perched on a mountainside with its own 16th C convent/fortress, arriving in time for the lively weekly Huasteca market. 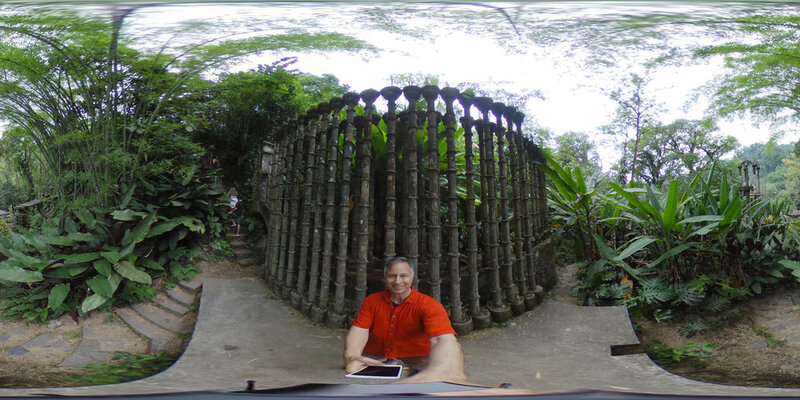 The whimsical Castillo (castle), where Edward James lived while building the surrealist gardens of Las Pozas nearby, is our home for the next three nights. 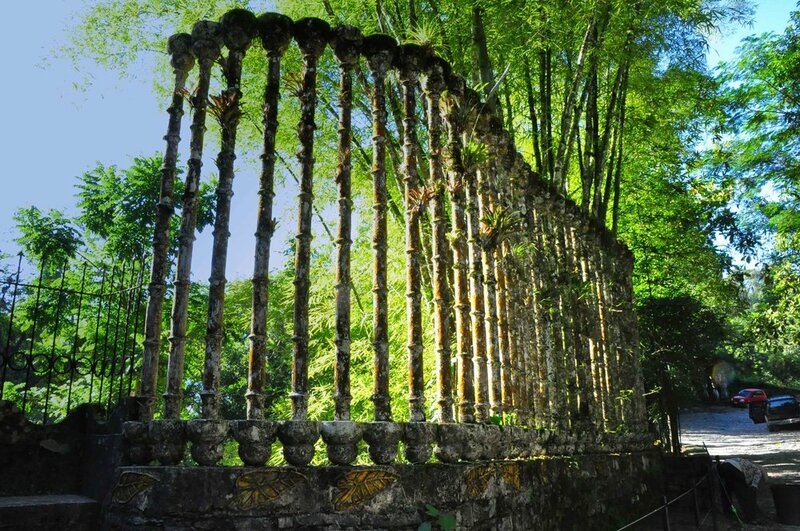 Breakfast at hotel, shuttle between El Castillo and Las Pozas available or walk and explore at your leisure. Independent lunch. Return to El Castillo. Dinner on own. 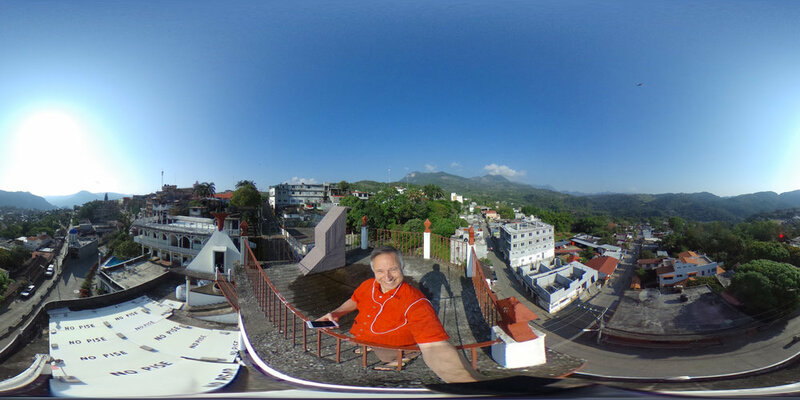 Breakfast at hotel, shuttle or walk between El Castillo and Las Pozas through the day. Independent lunch. Return to El Castillo. Dinner on own. We will have a party in honor of Edward James! Breakfast at hotel. Check out and begin our Sierra Gorda descent, stopping for a lunch of regional specialties en route to Queretaro, the cultural and economic capital of the region. Its historic center abounds with sumptuous 17th and 18th C architecture and was declared a UNESCO World Heritage Site in 1996. 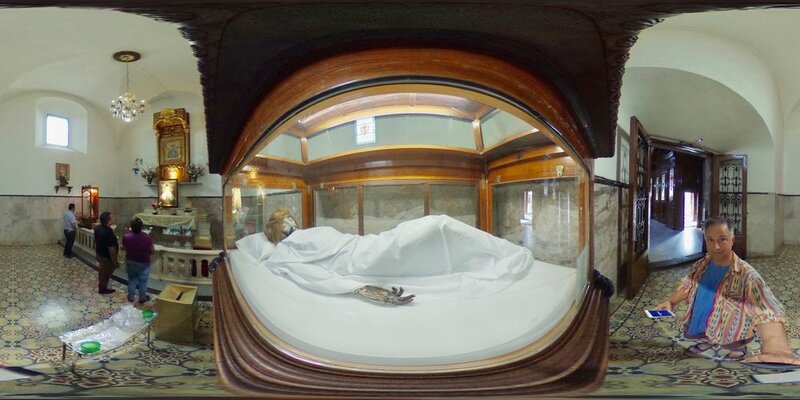 We check in at the romantic Hotel Casa de la Marquesa, a stately baroque mansion with lavish Moorish details and stone carvings built in 1756 for the local nobility. Relax in luxury or take a brief walking & trolley tour of downtown Queretaro before our group farewell dinner. 1995 Documentary Video on VIMEO: "Edward James: Builder of Dreams"